Even if you feel you have a pretty solid idea on your employees' satisfaction levels, it is always a good idea to survey them to be sure. The more you know the better equipped you are to increase employee morale, build company loyalty, and make sure the needs of the employee are being met. 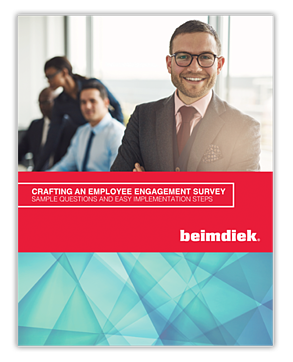 Just fill out the form to download our PDF Crafting an Employee Engagement Survey. Share this resource with your friends and colleagues.